A Conservative MP has pleaded guilty to two charges of making a false expenses claim. Chris Davies admitted to one charge of providing false or misleading information for allowances claims and one of attempting to do so. His case has been referred to crown court for sentencing. 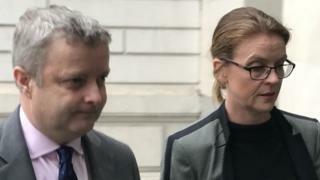 Davies, 51, the MP for Brecon and Radnorshire, appeared at Westminster Magistrates’ Court on Friday. He argued the expenses system was not an “easy” one to understand and claimed Davies was “not motivated” by “personal gain”. Mr Forster said his client is a “family man” with two children who is local to his constituency. Davies was charged in February this year. He served as a councillor in Powys before he was elected as MP for Brecon and Radnorshire at the 2015 general election, beating incumbent Liberal Democrat Roger Williams with the seat’s largest majority since 1983. In January 2018, he was appointed Private Secretary to the Wales Office.